Dr Minesh Patel is passionate about educating people about good oral care. The more you look after your teeth the less likely you will get gum disease. 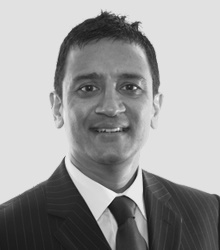 Here is Dr Minesh Patel guide to preventing gum disease and how to treat it. Periodontal disease, or gum disease as it is commonly called, is a group of diseases with the same end results; gingivitis, destruction of the periodontal ligament, loss of supporting bone and ultimately tooth loss. Nearly all people will develop gingivitis if there is absence of good oral hygiene. If left untreated, bone attachment loss tends to progress in bursts of activity rather than in a steady progression. It is more cyclical than linear, short periods of rapid disease progression are followed by longer periods of attempted recovery by the body and then once again by further breakdown. The first signs of gum disease usually begin with gingivitis; the gums appear red at the margins, slightly swollen and bleed when tooth brushing or flossing. It is often thought that brushing too hard causes bleeding gums however, bleeding from the gum tissues is not normal and should be taken as a warning sign. Bad breath and taste are also commonly related with gum disease. As the disease progresses the gum tissues begin to subside, this will expose root surfaces that may cause tooth sensitivity to temperature and pressure change. Gum tissues will lose their normally tight attachment to the tooth causing pocket formation. As pocket formation progresses, supporting bone loss may be noted around the teeth. Abscess formation, the collection of pus pockets denoted by pain, swelling and discharge from the gum tissues is an advance sign of disease. Ultimately looseness and drifting of teeth occur as bone is lost in more advanced stages of disease and may also be evident as eating becomes more uncomfortable. Early gum disease can be detected by your dentist during regular dental check-ups. The dentist can evaluate the gum tissues, probe to determine whether the attachment levels to the teeth are abnormal, and evaluate bone health through dental x-rays. Follow Dr Minesh Patel on Twitter here, learn more about Dr Minesh Patel here and read more Dr Minesh Patel blogs here. Thank you Dr Minesh Patel for this interesting post on gum disease!